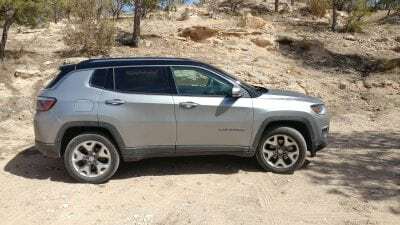 The all-new Compass was introduced last year as a replacement for other small Jeep models like the Patriot, Liberty, and previous-generation Compass. The 2018 Compass includes better styling, a more upscale interior on par with current Jeep expectations, and all of the versatility and capability associated with the Jeep brand. 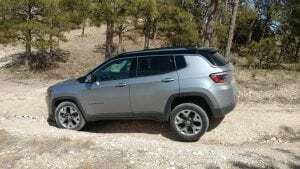 The 2018 Jeep Compass falls into the small crossover category in between the smaller Renegade and the larger Cherokee and Grand Cherokee models. The Compass is a five-seat crossover available in front-wheel drive or with two versions of all-wheel/four-wheel drive. The same engine powers all trim levels and drivetrains of the Compass, but capability for each of those drivetrain options are very different. Everything in the 2018 Jeep Compass is a vast improvement over the old models bearing this name and it’s well worth considering this vehicle as good competitions against other options in its class. The 2018 Jeep Compass has four trim levels to choose from. Three of them build up, from one to the next, in accoutrements while the Trailhawk stands largely alone due to its extra equipment and more trail-ready focus. Sport – The Compass Sport is the base model which comes standard with 16-inch wheels, A/C, a 5-inch touchscreen, Bluetooth connectivity, a USB port, and a six-speaker sound system. 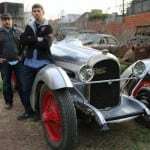 A six-speed manual transmission is standard and a six-speed automatic in front-wheel drive is available. 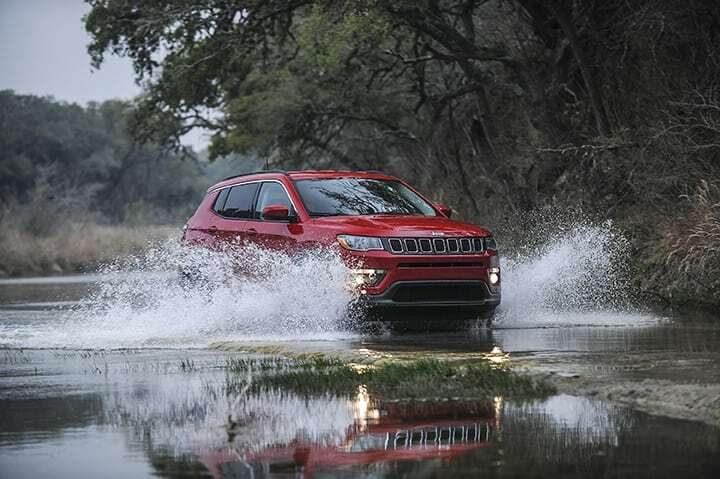 Upgrading to all-wheel drive adds a nine-speed automatic transmission as standard. Latitude – The Compass Latitude adds larger wheels, better upholstery, leather wrap for the steering wheel, keyless entry/ignition, and several options packages. 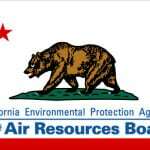 Most buyers will likely want this package for its adaptability to need. 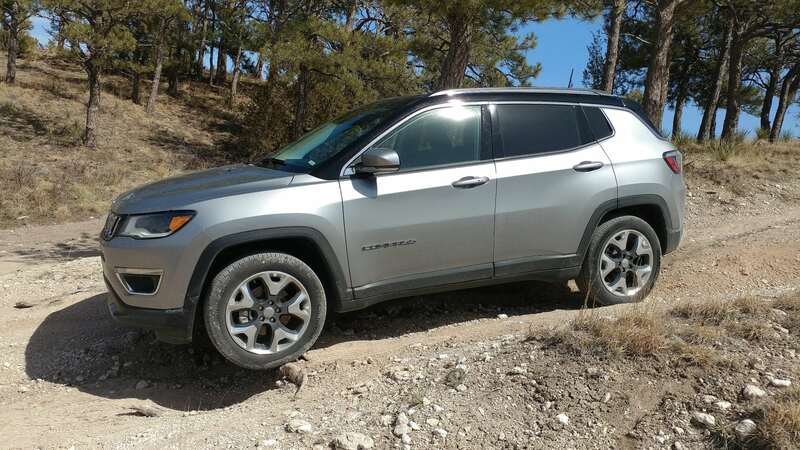 The six-speed auto and FWD are standard in the Latitude, but we recommend going to AWD for more capability and higher resale down the road. Limited – The Compass Limited is the top of the line in the Compass lineup. 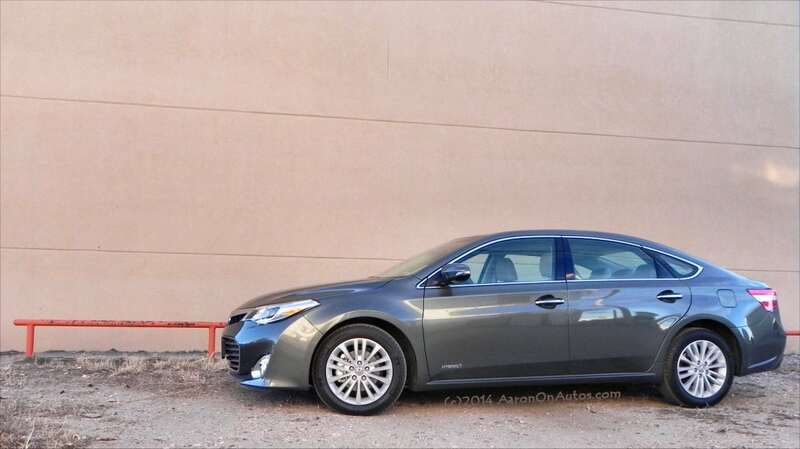 It has the Latitude’s packaging plus 18-inch wheels, remote starting, upgraded exterior trim points, an 8.5-inch infotainment touchscreen, Apple CarPlay/Android Auto, satellite radio, dual-zone climate, a power driver’s seat, an upgraded driver information display, and heated front seats with leather upholstery. A few options are also available individually or in packages. FWD and the six-speed auto are standard, AWD and the nine-speed auto are an option. Trailhawk – The Compass Trailhawk is the most off-pavement capable of the Compass series. AWD and the nine-speed automatic are standard equipment, the Trailhawk has 17-inch wheels with beefier tires, a slight raising in its suspension height, unique front and rear fascia points to improve approach and departure angles, underbody protection gear, and a unique Selec-Terrain system for getting over variable surfaces. Other features include red tow hooks (a Trailhawk signature) and a matte black front hood stripe. Most trim points above the base model have optional navigation, sunroof, Beats audio upgrade, a power liftgate, a Cold Weather package, and Advanced Safety and Lighting packages. 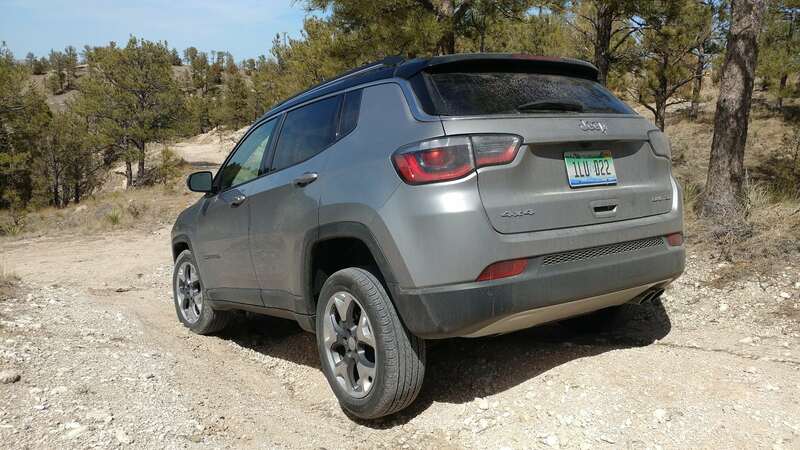 On the outside, the 2018 Jeep Compass has a much more robust look with a look based very much off of the Grand Cherokee above it. Signature Jeep things are there, including the X tail lamps, slotted grille, and square-ish look. This is, overall, a much more solid look for the Compass. 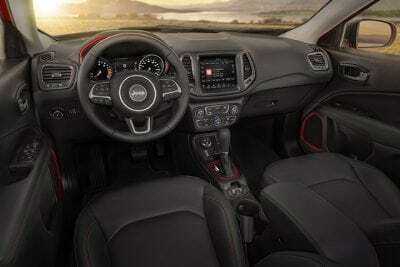 Inside, the Compass is far more upscale with a much more comfortable and daily usable interior. 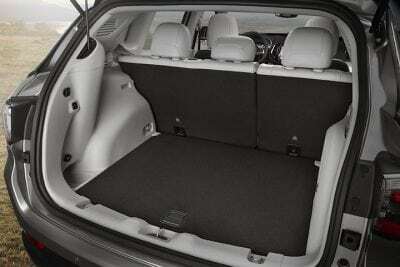 We’re much more impressed with it and consider it one of the better options on the market because of that. With a larger than expected cargo area and nice 60/40 split-fold rear seating as standard, getting things into the Compass is fairly easy. We like the ergonomics overall in the new Compass. 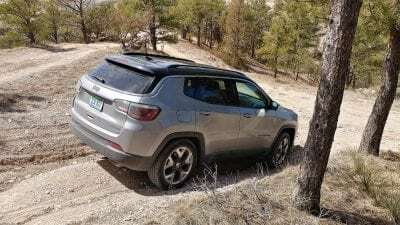 The 2018 Jeep Compass in all its trim points is powere by a 2.4-liter four-liter engine that outputs 180 horsepower. We haven’t seen or tried the manual transmission, but have driven both the six-speed automatic in FWD and the nine-speed automatic in AWD. 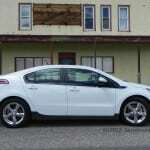 We’d much prefer the latter for its better capability and relatively small MPG sacrifice to get them. 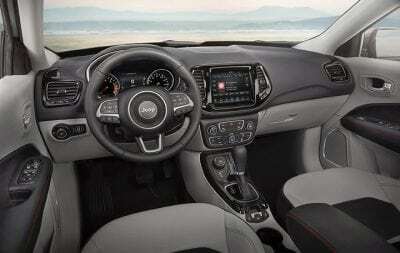 On the road, the Compass is much more user friendly with a great presence and confidence. 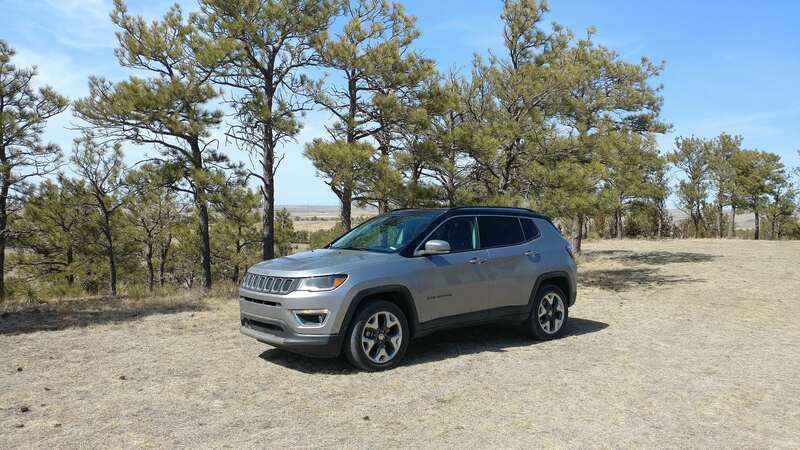 The interior is quiet for the segment, even on the highway, and the Compass rides well at most speeds. It’s more absorbent of road irregularities than previous generations too. 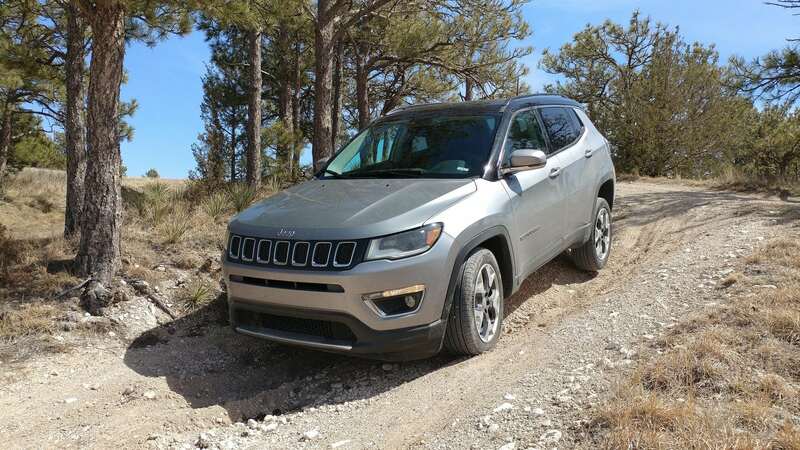 The AWD models are good in all weather and most light offroad situations. Especially the latter. 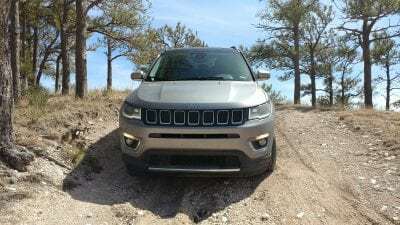 Having driven the lighter-duty AWD in the Latitude and Limited trims and in the heavier-duty Trailhawk version, it’s easy to note their very different attitudes, but how excellent the capability can be. The latter is much more conducive to off-the-pavement fun while the former is better for weather confidence. 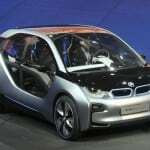 There is no shortage of competitors in the small crossover market. Most of them are well worth shopping too, as this segment is a strong one. Honda CR-V – The CR-V is competitive as an everyday crossover against the Compass, but has none of the capability or drive quality of the Jeep to compensate. Mazda CX-3 – A fun, well-made little crossover, the CX-3 can compete against the Jeep Compass in every way but off the pavement. Subaru Crosstrek – We gave the 2018 model Crosstrek an “A” score for a reason, with its only weakness against the Compass being its smaller cargo space and back seat. Toyota RAV4 – The RAV4 has a unique look and strong sales history, but it’s being replaced for 2019 as sales begin to slip for the small crossover. An outdated transmission and boring overall drive quality are low points for it. Great interior with a very upscale feel. Good capability in nearly all situations. Can be pricey compared to some competitors. Fuel economy in FWD below par with little lost to upgrade to AWD. 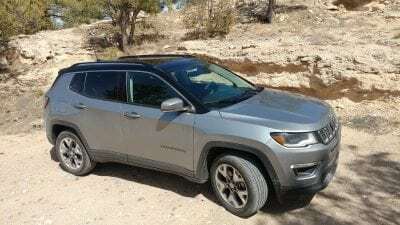 Reliability unknown for this new model against a backdrop of shaky reliability from Jeep recently. 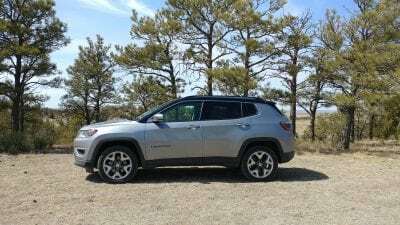 There is a lot to like about the 2018 Jeep Compass: it’s well made, has a great presence, and is one of the most capable options you can buy in the segment. 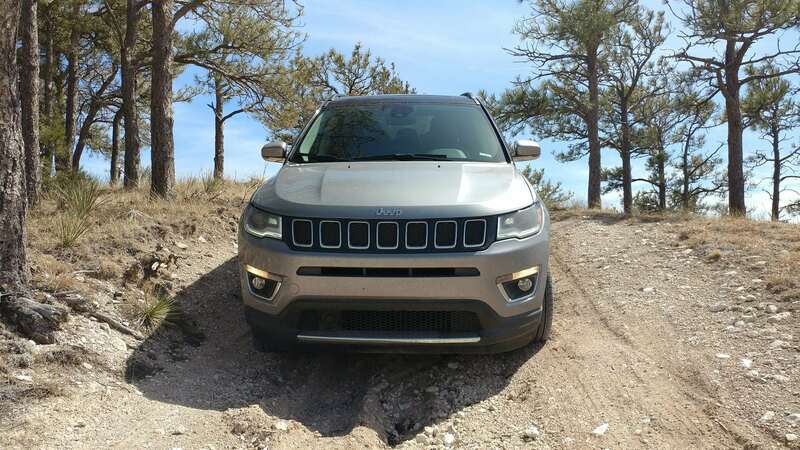 The Compass is a strong competitor and well worth shopping in a segment full of great options. 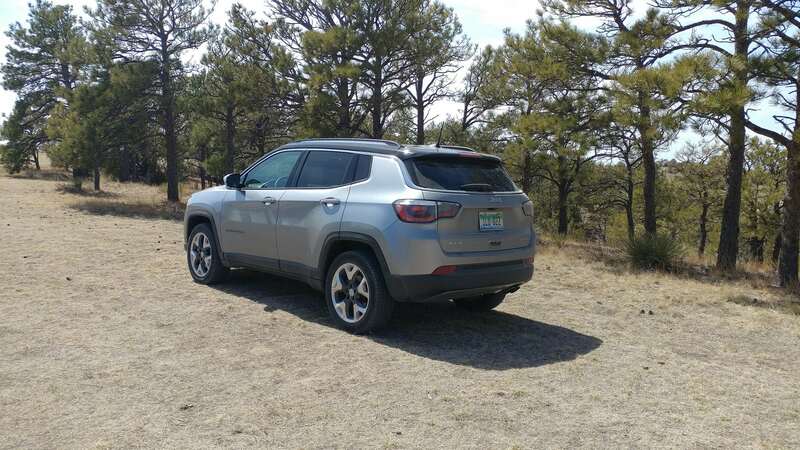 The 2018 Compass was a manufacturer’s press loan for about a week in its Limited trim level. 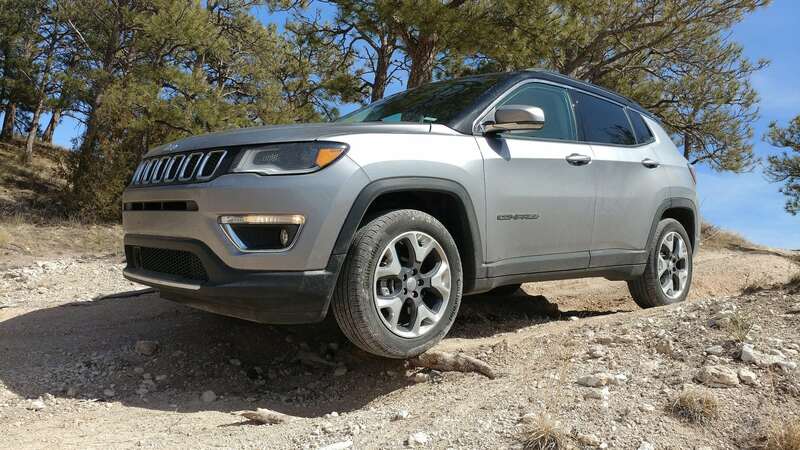 The Latitude was driven as a press loan in 2017 and all trim points were driven at a Jeep-sponsored event as well.